While Sony attempts to resurrect the Walkman brand as a high def media player, it’s clear that music lovers prefer something more disk-like. No, not CDs. Records! That’s why the newly announced HX500 turntable makes such splendid sense. The wonderfully clean, Braun-like design hides some high tech guts that are specifically tuned to help you make high res transfers from your vinyl collection onto your hard drive in native DSD or WAV files. The turntable also features a mobile app as well as desktop software to edit your favorite music and play back the buttery sound on any high res audio player. Otherwise, the HX500 is a pretty competent record player in the old fashioned sense of the term. It’s got a two-belt drive system and aluminum die cast platter for stability. With a built-in phono equalizer that’s fine tuned for top quality sound, and this turntable makes a wonderfully modern addition to any home audio setup. The turntable goes on sale this spring. 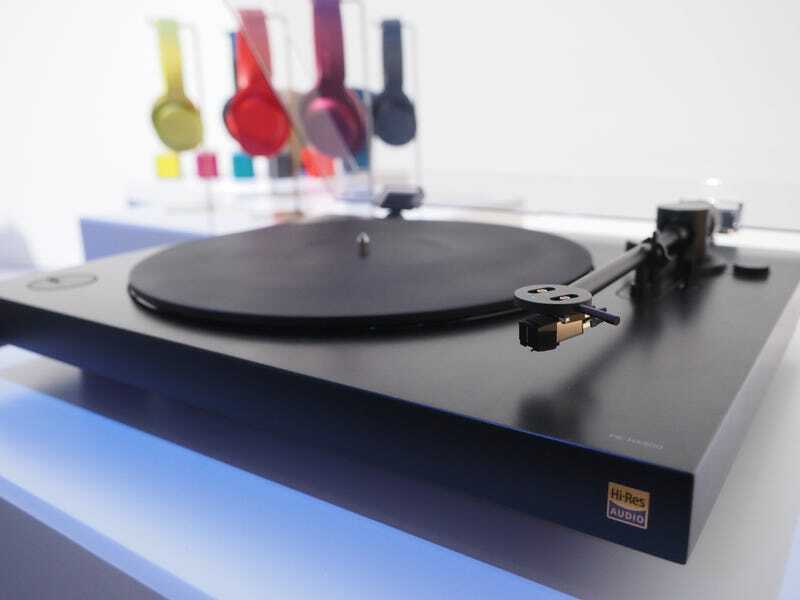 No word on the pricing yet, but it’ll surely compete against the very appealing new Technics 1200.